The natural beauty and attractions of Chattanooga, Tennessee, fascinate visitors and natives alike. Student travel groups, in particular, can acquire a sense of American history at the city’s monuments and Civil War sites. 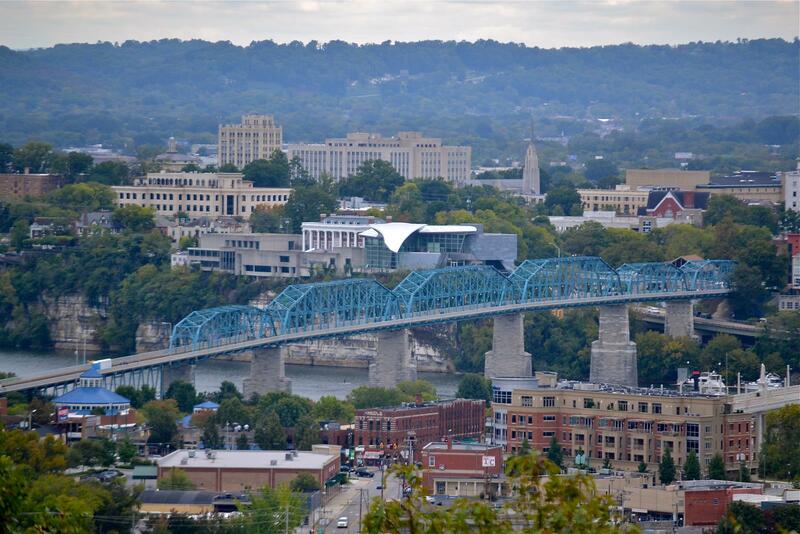 However, Chattanooga provides fun as well as historic attractions. One of America’s top-rated aquariums, the highest underground waterfall, beautiful gardens, popular museums and entertaining tours all provide students with memories that will last a long time. 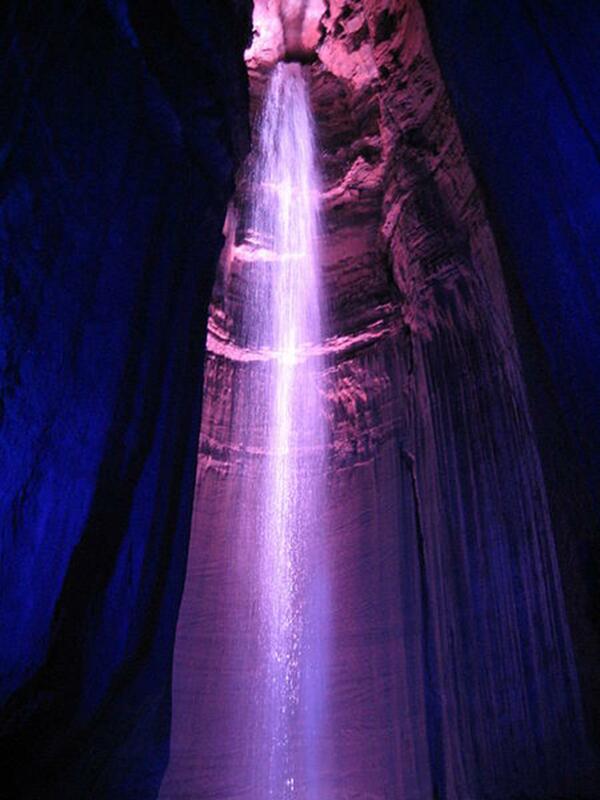 Ruby Falls, the highest underground waterfall in the U.S., can be toured with the purchase of a ticket. Besides the cavern tour, admission includes access to Lookout Mountain Tower and Fun Forest Playground. Special events during the year include Ruby Falls Lantern Tours, Ruby Falls Haunted Cavern and Deck the Falls Lookout Mountain (during Christmas season). Rock City Gardens, also on Lookout Mountain, was created by Garnet and Frieda Carter in the early 1930s. Initially meant to be a family residence, the terrain began to be altered by the couple. Garnet created the first miniature golf course, while Frieda created walkways, planted native vegetation and imported fairytale statues. At last, Garnet decided to invite the public to see their creation among the boulders. Over the years, attractions like Fairyland Caverns, shops and restaurants were added. Yearly festivals and events include Rocktoberfest and Enchanted Garden of Lights. Chickamauga and Chattanooga National Military Park, the site of multiple battles between Union and Confederate soldiers, features Chickamauga Battlefield with Civil War relics and a visitor center on its grounds. Lookout Mountain Battlefield Visitor Center at Point Park also recalls the Civil War. 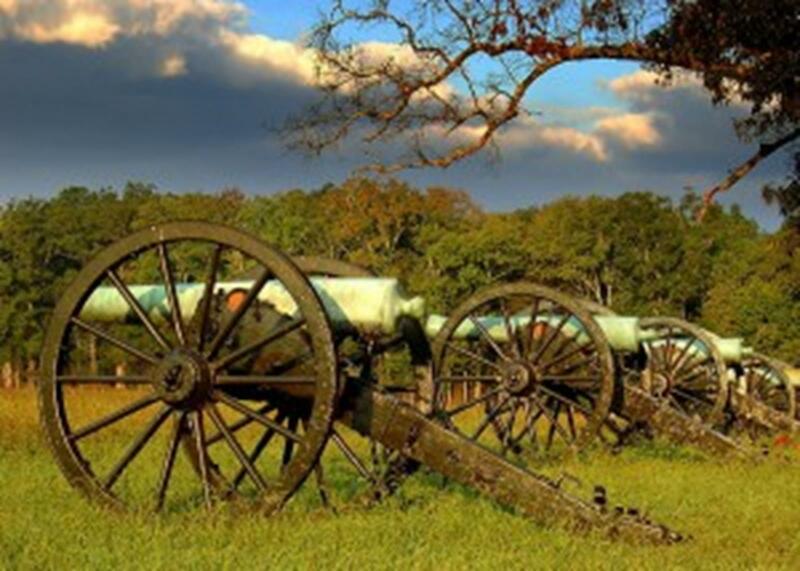 Throughout the summer, both battlefields offer Civil War re-enactments and living history presentations on how an individual soldier would have lived during these turbulent times. Located at the entrance to Point Park, the Battles for Chattanooga Electric Map and Museum features an electronic battle map display that recreates the major battles fought here. Tennessee Aquarium displays over a thousand species of marine creatures, birds, rodents, plants and butterflies. Hourly animal encounters include dive shows and parrot interactions. Behind-the-scenes guided tours are also available. IMAX 3D Theater, a block away from the aquarium, shows animal-related films as well as full-feature films on a six-story screen. Chattanooga Nature Center nurtures 30 native species, including near-extinct red wolves, American bald eagles and great horned owls. The grounds include a 1,400-foot-long boardwalk, tree house and visitor center. Reflection Riding Arboretum & Botanical Garden adjoins the center. Each season offers a different landscape to enjoy. Walking trails can take students to the top of Lookout Mountain and other areas. Hunter Museum of American Art focuses on American art from the 19th century forward. Permanent collections include works of sculpture, prints, paintings, glassworks and ceramics. International Towing and Recovery Hall of Fame and Museum features historic tow trucks and everything and anything that relates to the towing and recovery industry. Tours of the museum can be booked by student groups. Houston Museum of Decorative Arts, located in a Victorian house, holds a large collection of the late Anna Safley Houston, a famous antique dealer. Collections include antique glass, ceramics, furniture, music boxes and colorful pitchers. A gift shop sells artsy items related to the collection. Tennessee Valley Railroad offers early 20th century-style train rides with costumed conductors aboard a steam or diesel train. One-hour rides travel through Civil War tunnels, Chickamauga and other scenic locales. Lookout Mountain Incline Railway, the world’s steepest railway, features an unforgettable ride on the slopes of Lookout Mountain. “Crystal Palace Tour” at Raccoon Mountain Caverns takes student groups on a 45-minute guided walk through cave formations. “Wild Cave Expeditions,” a more extreme option, gives an opportunity to explore the caverns in-depth. Sleepovers in the cave can be arranged. Chattanooga Riverboat Company offers narrated Tennessee River excursions that last 90 minutes. Options include lunch, dinner and sightseeing cruises. “Chattanooga Riverboat Cruise,” offered by Tennessee Aquarium, takes students aboard River Gorge Explorer, a high-speed 70-passenger catamaran. The educational cruise focuses on native plants and animals. The University of Chattanooga Fine Arts Center enables students to rent its facilities if they are not booked. Inexpensive fees and additional services and equipment make this a fine choice for a student performance. The Camp Jordan Amphitheater gives students a space to perform their theatrical productions and concerts outdoors. The covered outdoor stage also has dressing rooms and lighting equipment. Holiday Starlight Parade, held in early December, features vehicles and floats decorated in holiday lights on the main streets of Chattanooga, plus marching bands and other live performances. Riverbend Music Festival, a nine-day June event, attracts over 600,000 visitors and features bands of different genres, such as rock and bluegrass. Lupi’s Pizza Pies offers inexpensive pizzas and calzones for any cheese lover. Homemade garden salads, lasagna and sweets should be checked out as well. Champy’s Famous Fried Chicken features appetizers and individual chicken meals under $10. Taco Mamasita sells their tacos under four bucks. Other Latin specialties include enchiladas and roasted Peruvian chicken. For a quick sandwich or the best chicken salad in the town, visit Jenkins Deli. Rembrandt’s Coffee House offers sandwiches and wraps for under $7.50, along with salads and soups. Comfort Inn & Suites, near Hamilton Place shopping mall, provides free breakfast, wireless high-speed Internet and seasonal outdoor pool. Microwaves and refrigerators are available in all rooms, with cable that has HBO. Quality Suites, with affordable rates under $100, also provide students with free wired and wireless high-speed Internet, plus free breakfast. Best Western Heritage Inn also has rates under $100. Amenities include cable TV with HBO, free wireless high-speed Internet and an outdoor swimming pool. Sleep Inn is located minutes away from Ruby Falls and Rock City Gardens. Low rates, free breakfast, wireless high-speed Internet and cable TV with HBO are offered. Student travel groups have many choices in Chattanooga. Whether they wish to see historic sites, experience surrounding parks and mountains or just relax, students won’t be disappointed with their visit. The ultimate Tennessee excursion awaits.